When it comes to heating your home, you might feel you are restricted somewhat by energy companies and businesses that are looking to make a profit at your expense. However, it doesn’t have to be this way as there are other options available to the homeowner wanting to shop around. These days, there are many ways for you to take control of your energy consumption – from heating oil tanks for the home through to solar panels, and much more. Here at Tuffa Tanks, we provide home-owners and businesses up and down the country with single skin and bunded heating oil tanks in a range of sizes, to ensure you have an option that is suitable for your particular needs. This alternative approach is a popular, off-the-grid means of heating homes and businesses. It is considered a very back-to-basics way of looking after your own without having to rely on energy companies and their often inflated prices. Instead, you can buy fuel as and when you need it, with negotiable prices, to stock up when the price suits you. While we consider this approach to be back to basics, there are, in fact, many more primitive methods of heating homes and subsequently businesses. The first source of heat was directly from the sun, but eventually, fire was used for cooking. Humans soon learnt how to harness the power of fire for heating – as well as cooking, and moved the fire indoors. Hearths and braziers were commonplace around the world, while the Greeks and Romans were using underfloor heating. By the 12th century, chimneys had been introduced and were fully integrated into the home by the 16th century. Shortly after, stoves were invented, radiators followed, and, eventually, electric heaters were designed in the 19th century by Thomas Edison. In the last century, ground sourced heat pumps, combination heating, power systems (often, boilers) and solar panels were familiarised within the domestic market. Over the years, many of these methods have relied heavily on heating fuel for the home or business but have sourced the fuel directly from energy companies. 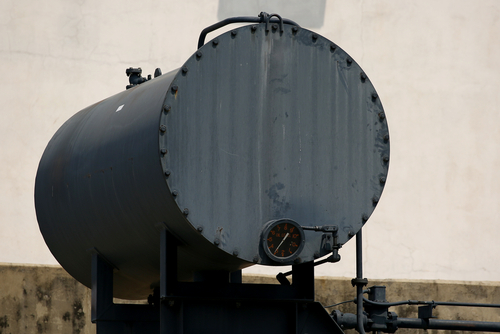 By cutting out the middle man and investing in a heating oil storage tank, you can make far better informed decisions regarding your energy consumption.